Glynda A. 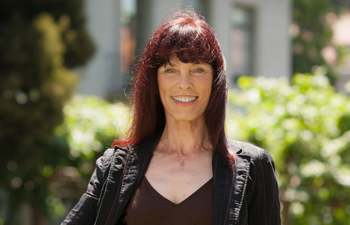 Hull is Professor of Education in the Graduate School of Education, University of California, Berkeley, and holds the Elizabeth H. and Eugene A. Shurtleff Chair in Undergraduate Education. A recipient of UC Berkeley’s Distinguished Teaching Award, Hull offers undergraduate, graduate, and teacher education courses on literacy and media, and her research focuses on improving K-12 education with a focus on literacy, language, and technology. In California, with support from the US Department of Education and other agencies, Hull has created and studied after school programs for K-12 youth that emphasize digital media. Internationally, she has carried out research in India to study how schooling for girls might be transformed, looking especially at the role of digital media in that process. She has recently worked with educators and researchers in several countries, including Norway, South Africa, and India to create and study an international social networking project for youth. Her current research focuses on designing innovative online spaces for learning and exploring the burgeoning phenomenon of global schools.